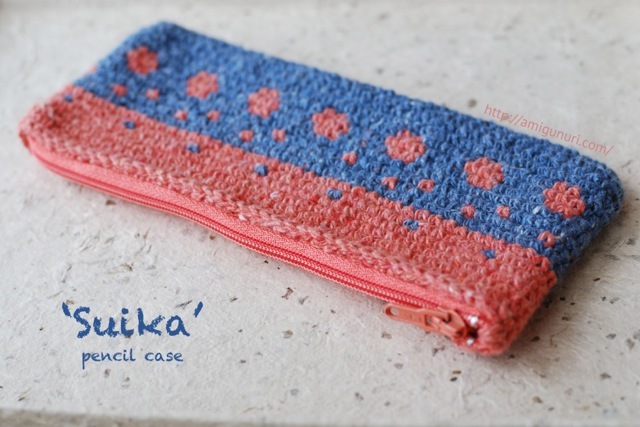 ‘Suika’ is a case to carry pencils, makeup … Whatever you want. 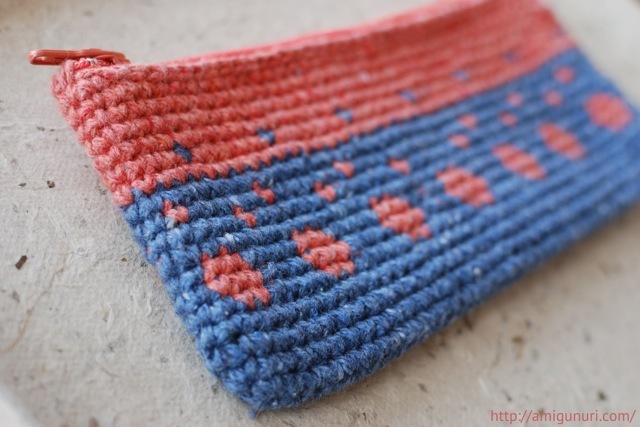 I have crocheted with recycled cotton yarn that gives it a strong and delicate texture. I have combined two colors creating a jacquard motif with circles and dots. 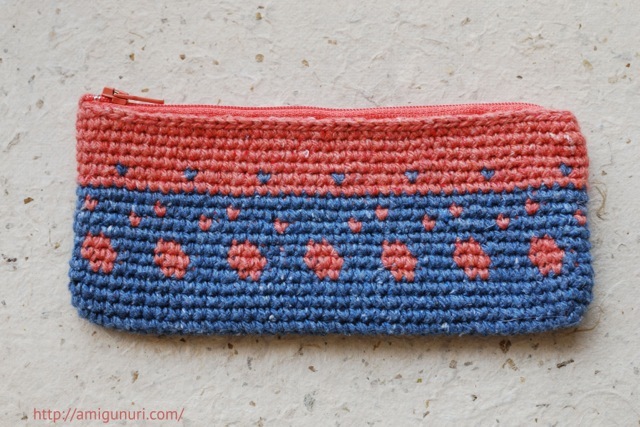 I love to draw with crochet hook different geometries. You can design and knit whatever your imagination wants. Create!